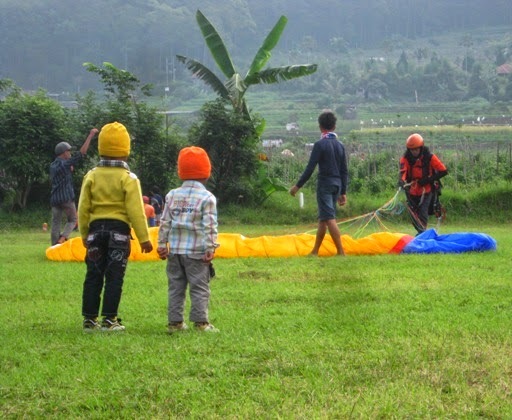 The kids were watching landing moments of paragliding sport on a field called Songgo Maruto (Batu city, Malang, East Java, Indonesia). The place is specially made for the landing spot. During our last trip, we were fortunate to see a competition of paragliding there. The photo is very nice! Excellent colors! The young ones look entranced with paragliding. Love their little caps.